The heart of what makes Pokémon games so enduring is the sense of adventure and self-discovery. Each game begins with its adolescent protagonist taking a rite of passage, their first voyage into the wider world as their own person. In their own ways, every Pokémon game is about finding yourself and establishing yourself in the world. Eevee, my longtime favourite Pokémon, is the truest expression of that fundamental human experience. That’s because Eevee can be anything. Introduced in the first game, Eevee could evolve into three different Pokémon, each representing a different element and with a different moveset. After seven generations of games, that number of evolutions has now expanded to nearly every single different Pokémon type. There’s a grass type Eevee, a Dark type, an Ice type, a Psychic type. As for which of these evolutions is the best, that’s up to your playstyle and personal preference. I have a soft spot for Sylveon, the fairy type, which has pink ears and paws and a sweet little bow around its neck. None of them are my favourite Pokémon, though. That’s still Eevee. Eevee is adorable, but that’s not the only reason why I love them. 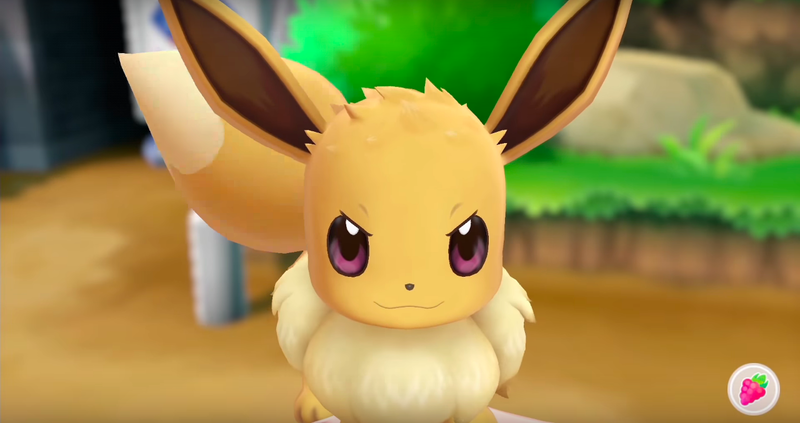 Somewhere between a cat and a dog, Eevee seems more domesticated than longtime series mascot Pikachu, but still as mischievous as any other wild animal. 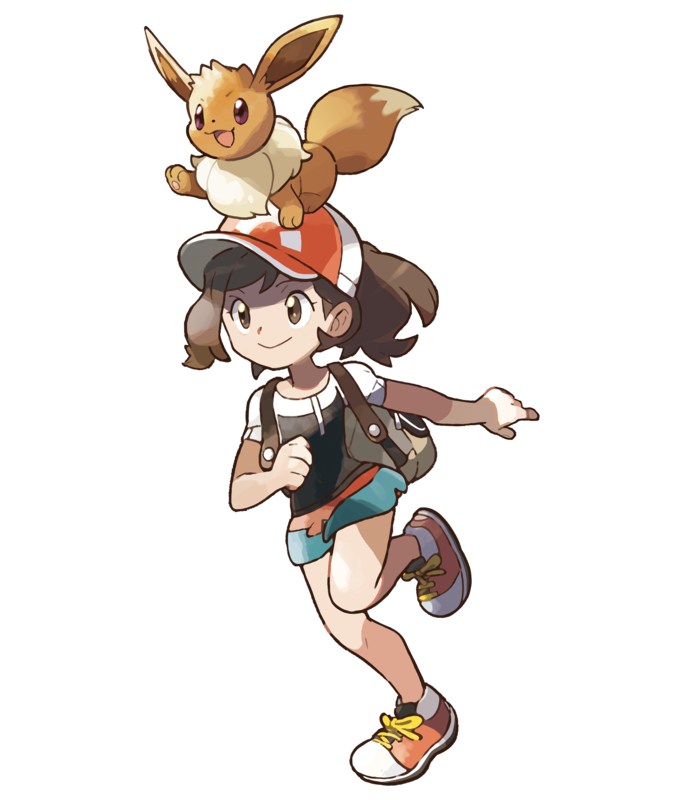 There’s no denying that Eevee is just as popular—the upcoming Let’s Go! Pokémon games feature both Eevee and Pikachu as possible companions. Unlike the bright yellow Pikachu, Eevee is more understated in their cuteness. With big ears and mousy brown fur, Eevee is begging to be touched and petted, snuggled and hugged. Their design feels closer to reality than the Pokémon series’ more outlandish offerings, like an anthropomorphic bag of trash or a flying sword. The potential of Eevee is what makes them so precious to me. They are a blank slate. Eevee is that moment before you step out the door and start your adventure. They represent the innocence of not yet knowing who you are, and the excitement of finding out. They are always the Pokémon I most want to catch because of that. As I learn and grow on my journey, so does Eevee. Eventually, my Pokémon will have the option to take a step towards self-definition. Eevee will become a Flareon or an Umbreon or a Glaceon. But they don’t have to. When Eevee is still Eevee, they’re free to be anything. When I play Pokémon games, I resist evolving Eevee as long as I possibly can. As a Normal type, which have a resistance to Ghost Pokémon, Eevee is not totally useless in battle, but there will come a time when you really need a powerful Water type or something to round out your team. Just like growing up, taking your first steps towards adulthood and cementing your values and outlook on life, evolving an Eevee feels like letting go of that limitless possibility. It’s inevitable, assuming you want Eevee to become strong enough to remain a fixture on your team, but it’s a little sad. You’re not a child anymore. The world is no longer wide open to you. Eevee is the best Pokémon because the story of Eevee is also the story of Pokémon. It’s about the last times you’ll be able to see the world before you grow up and figure out who you are. By the end of your journey, you’ll be changed somehow. Maybe you’ve foiled Team Rocket, become the Pokémon champion or even caught them all. Your Eevee, too, will have changed, evolved into something more specialised than their raw form. They will always be a reminder, though, of those moments when you first stepped out of your door to start your adventure.